Nitehawk’s LIVE SOUND CINEMA celebrates the films of ALICE GUY BLACHÉ with our special “SHE MADE IT” presentation that features a live score by REEL ORCHESTRETTE. 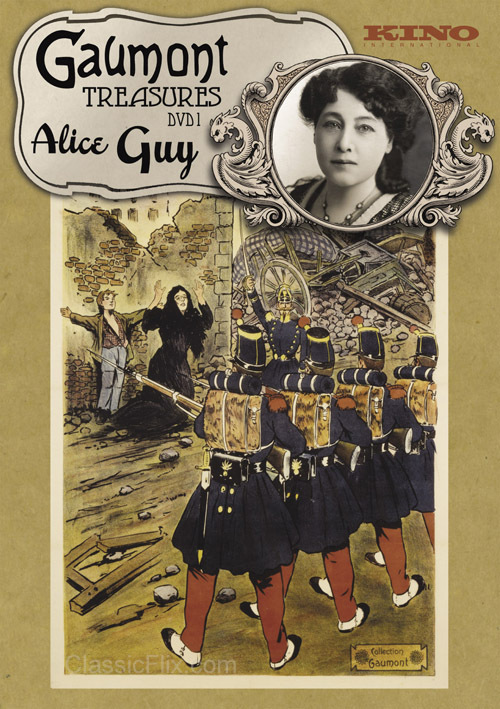 Alice Guy Blaché is cinema’s first female director who, between 1896 and 1920, wrote, produced or directed more than a thousand films in France and in the United States. A profound influence upon the evolution of cinema, she was a pioneer whose works stands alongside that of the Lumière Brothers, Georges Méliès, and Edwin S. Porter, in cinema’s rapid growth from an optical illusion to a storytelling medium to an art form. For this special Live Sound Cinema presentation, we will be screening Kino’s “Gaumont Treasures” which features her work for the French Major Film studio Gaumont (1897 – 1907) and will include hand-colored, comedies, social commentaries, early “trick” films and the 33-minute religious epic, The Birth, the Life and the Death of Christ (1906). Reel Orchestrette (Bradford Reed & Geoff Gersh) is dedicated to the art of live musical accompaniment to silent films. Reed & Gersh have been collaborating together for almost 20 years, they formed Reel Orchestrette in 2012. Part of Nitehawk’s September SHE MADE IT brunch, midnite, and special event series.